9.4???? 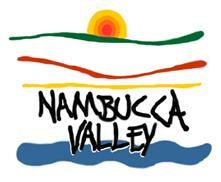 Minutes of the Nambucca River, Creeks, Estuary and Coastline Management Committee Meeting held on 12 August 2011 ???? I request leave for the period 16 September 2011 to 28 September 2011 inclusive, for personal reasons. Request forwarded to Mid North Weight of Loads to present at a General Purpose Committee Meeting. Council forward concerns raised over the determination of DA 2010/234 Proposed Primary School to the Joint Regional Planning Panel Secretariat with a copy to the NSW Deputy Premier and Member for Oxley, the Hon. Andrew Stoner MP. In progress ? report to future meeting. Engineering Dept. provide a further report on the outcome of the GHD investigation (drainage catchment above Riverside Gardens) and whether there will still be an issue with the outlet under Riverside Drive once the detention basin has been cleared. GHD contacted and report anticipated end of June early July - proposed to present Council with a report for the GPC scheduled for August. That a Plan of Management within Kingsworth Lake Reserve be prepared by Engineering Services. Proposal being sourced from Public Works and will be reported to 21 September 2011 General Purpose Committee Meeting. Council write to the officer of Environment and Heritage expressing concern about cancellation of the NSW Home Saver Rebate Program.? Letter sent 25 August 2011. There has been an exchange of correspondence with the Electoral Commission.? They refuse to provide a firm quote.? To be reported in October. There is an agenda for substantial structural change to NSW local government.? An Implementation Steering Committee (ISC) has been established by the Government consisting of the Chief Executive of the Division of Local Government (Chair), the Presidents of the Local Government and Shires Associations and the President of the Local Government Managers? Association (LGMA).? The Government wishes to implement structural reforms to NSW Councils in 2012 . That the information concerning the Destination 2036 Workshop and its Communique be received. There are no real options.? The report is for information. The Mayor and myself attended the Destination 2036 Workshop on 17-18 August at Dubbo.? The Workshop was convened by the Division of Local Government to provide direction for the future of local government in NSW.? The workshop was well attended with every Council in NSW generally being represented by their Mayor and General Manager. The Workshop was opened by the Minister for Local Government, the Hon. Don Page MP.? The Minister made it clear that the Government was keen to push a reform agenda, and made particular reference to the need for change in the Sydney metropolitan area.? He also identified the need for change in far western NSW.? The Minister indicated that the Federal Government expects local government reform in NSW.? The Minister?s speech is attached. The first day of the Workshop wasn?t as productive as the second.? It mainly dealt with a Vision and Mission Statement with some interesting polling of delegates in relation to options for structural reform.? The polling indicated a high level of support for the need for structural reform, although this broke down when there was further polling on specific options for change. An interesting presentation on 17 August was from an executive of England?s local government association.? Councils in England are responsible for education and housing as well as the infrastructure we are responsible for.? Councils there are facing a real cut in funding of 30% over 4 years with a 12% real cut in funding in this financial year.? Overall England is cutting funding across the public sector by 19%. By necessity England?s Councils now have considerable experience in different structural options to improve efficiency.? These include joint management arrangements, sharing of back office functions, sharing of front office functions, outsourcing and joint ventures, sharing procurement and assets and sharing expertise.? It was observed that sharing of back office functions had progressed faster than other options.? However sharing of front office functions, and particularly co-location was now catching up.? Sharing of expertise was also popular.? It was emphasised that shared services required a committed Council leadership and on-going work through joint teams to provide the necessary scrutiny and accountability. On 18 August there were presentations on options for structural reform and workshops to give detailed consideration to those options.? The groups then reported back their findings to all of the workshop attendees.? On 19 August the Division of Local Government issued the attached communiqu? concerning the outcome of the workshop and the following steps in the process. At face value the communiqu? reinforces an agenda for substantial change with the Chief Executive of the Division of Local Government referring to the, ?two day workshop representing the first stage in a new era in State/Local Government relations and (which) sets the stage for some of the biggest reforms in the history of local government in the State?. The communiqu? also refers to the, ?broad consensus amongst representatives that change and reform is needed within the sector to meet changing community needs?. An Implementation Steering Committee (ISC) has been established by the Government consisting of the Chief Executive of the Division of Local Government (Chair), the Presidents of the Local Government and Shires Associations and the President of the Local Government Managers? Association (LGMA). The ISC will meet on 2 September to consider the workshop outcomes with a draft action plan to be distributed around the end of September for consultation.? The communiqu? indicates that feedback will be considered and incorporated into the final action plan by the end of the year so that implementation by the two tiers of government can commence in 2012.? This is relatively ambitious program and again is consistent with the mood for change referred to above. The workshop outcomes have been discussed with other Mayors and General Managers.? In general most observed there is an agenda for significant change. The social implications are as yet unknown. The economic implications are as yet unknown. The risk issues are as yet unknown.? Whilst there can be speculation about the risks, a proper assessment will only be able to be undertaken following the release of the draft action plan due by the end of September. That Council endorse minutes of the Committee of Management for the Missabotti Community Centre?s Annual General Meeting held on 27 July 2011, and thank the outgoing Committee for their work in the past twelve months. The AGM of the Missabotti Community Centre Committee of Management was held on Wednesday 27 July 2011. Committee Members:?????? John Owen, Mark Hudson, Dianna Trilsbach, Mal Rea, Kerrie Smith, Tina Holmes. The report acknowledges the Annual General Meeting of the Gordon Park Tennis Centre Committee of Management and the new Committee which was held on 28 July 2011. That Council endorse the minutes of the Committee of Management Gordon Park Tennis Centre?s Annual General Meeting? which was held on 28 July 2011 and that Council thank the outgoing Committee for their work in 2010/2011. The AGM of the Gordon Park Tennis Centre Committee of Management was held on Thursday 28 July 2011. Other Committee Members??????? Lyn Crane, Graham Harris, Julie Richards, Peggy Lyons, Melissa Mackay, Heather McPhee, Donna Mills,? That Council endorse the minutes of the Committee of Management of the Gordon Park Rainforest Walks? Annual General Meeting which was held on 11 August 2011 and that Council thank the outgoing Committee for their work in 2010/2011. The AGM of the Gordon Park Rainforest Walks Committee of Management was held on Thursday 11 August 2011. Not required.? The report is short. 1??????? That the response from the Executive Director, Assessment Systems and General Counsel ????????? concerning the conduct of the Northern Joint Regional Planning Panel meeting on 12 April ????????? 2011 be received. 2??????? That the complainants be advised of the response from the Executive Director, Assessment ????????? Systems and General Counsel. There are no real options.? Council has made its point and further correspondence will serve no useful purpose. At Council?s meeting on 19 May it was resolved that in accordance with the Joint Regional Planning Panels Complaint Handling Policy Council forward the concerns raised over the determination of DA 2010/234 Proposed Primary School, Lot 11 DP 805157, Dudley Street, Macksville to the Joint Regional Planning Panel Secretariat, with a copy to the NSW Deputy Premier and Member for Oxley the Hon Andrew Stoner MP. The attached letter was sent on 27 May 2011 and the attached response has now been received from the Executive Director, Assessment Systems and General Counsel. The Executive Director advises that he is satisfied that the Panel members have followed the procedures set out in the Operational Guidelines and adhered to the Code of Conduct in their dealing with this application. The advice from the Executive Director is that the, ?key issues discussed in the meeting related primarily to flooding and were raised at the public meeting itself? (page 2).? Assuming this to be the case there is no explanation why the public had to be excluded or why the issues had to be discussed twice.? There is not even an acknowledgement in the letter that the practice is undesirable or an appreciation of how members of the public may form an adverse perception. Whilst a practice of excluding members of the public from the Council Chambers to enable the discussion of a development application is not one followed by this Council, in the circumstances there is no further action that Council can take. There has been consultation with the Panel Secretariat of the Joint Regional Planning Panels. The concern indicated in Council?s resolution and subsequent correspondence is that the Joint Regional Planning Panel should meet in public.? Excluding members of the public from the Council Chambers to enable a closed discussion of a development application immediately prior to a public meeting does not create a perception of openness and transparency.? Certainly the Council would be open to criticism from the community and Division of Local Government if it adopted a similar practice. This development application was determined by the Joint Regional Planning Panel at its meeting on 12 April 2011 in the Nambucca Shire Council Chambers.? The application was refused. Council has received formal requests to follow-up concerns relating to process and procedure in the determination of DA2010/0234.? In particular, the requests query a closed discussion between the Joint Regional Planning Panel (JRPP) members and Council staff prior to the public meeting, and indicate that there was a public perception that the Panel had reached a decision after the Closed discussion and prior to the public meeting and community representations.? A number of telephone complainants have expressed a similar view. Reference is made to the JRPP Operational Procedures, Code of Conduct and Complaint Handling Policy. ?The Planning Panel is a meeting where the Regional Panel meets in public to consider the DA that has been referred to it.? The purpose of the meeting is for the Regional Panel to hear those who wish to express their view on the DA before the Panel makes a decision.? Following hearing of public submission, the Panel may proceed to determine the application or decide another course of action where appropriate.? ?Regional Panel meetings are to be conducted in public, unless otherwise directed by the Minister, or unless the Chairperson is of the opinion there are justifiable reasons to conduct any part of the meeting in closed session.? The Regional Panel public meeting was scheduled to commence at 11.30 am.? The closed discussion referred to in the letters occurred immediately before the public meeting and will quite likely be considered by the Panel as not part of the public meeting. ?You have a duty to be open as possible about your decisions and actions.? The JRPP?s Complaints Handling Policy advises that complaints should be forwarded to the Panel Secretariat and that they will be assessed against the principles of procedural fairness. Council would appreciate your response to the concerns raised in the enclosed correspondence and for you to identify the action which you propose to take. The report concerns the adoption of recommendations from the Saleyards Advisory Committee meeting on 23 August 2011. That Council investigate an effluent management system that has primary and secondary treatment with treated effluent to be sent to Council?s sewerage system.? In rain events the Saleyards run off is to be directed to the stormwater system. That Council investigate funding an effluent management system at the Macksville Saleyards through its Environmental Levy. 5??????? The status quo being Council?s continued management of the Macksville Saleyards and their use by G J Kennedy Ltd under Licence. That Mr George Hicks OAM speak at the Saleyard Forum on behalf of the Macksville Saleyards Advisory Committee. The report lists the recommendations from the Saleyards Advisory Committee for adoption.? Council can choose whether or not to adopt the recommendations. At Council?s meeting on 4 August 2011 it was resolved that the Saleyards Committee meet as a matter of urgency to consider any other options for the future operation of the Macksville Saleyards to be considered at the Saleyard Forum. 2??????? Their leasing to G J Kennedy on terms to be negotiated. 3??????? Other options which maybe put forward. 4??????? That the outcome of the forum be presented to the Saleyards Committee for comment and with their feedback to be included in the final report to Council. The Macksville Saleyards Advisory Committee met on 23 August 2011. There was discussion concerning the options for keeping the Saleyards open at the cheapest possible cost. A number of governance arrangements were discussed being that the Macksville Showground Committee of Management be directly responsible for leasing the Saleyards; alternatively that Council be directly responsible for the leasing of the Saleyards; the sale of the Showground including the Saleyards to the Showground Committee (as an incorporated association); and also the status quo being Council?s continued management of the Saleyards and their use under licence.? The other alternative of closing the Saleyards is obviously not preferred by the public and private sector representatives on the Committee but was agreed to be included for the sake of completeness. The option of selling the Showground (including the Saleyards) to the Showground Committee as an Incorporated Association could be revisited with the offer of a substantial annual payment for say 5 to 10 years.? This payment would be in recognition of the subsidy which Council currently provides to the Saleyards and also other funding to assist with the maintenance of buildings and infrastructure.? The potential benefit with such an arrangement is that the Incorporated Association may be able to stretch the available funding further than Council through the use of volunteer labour and grants. It was agreed that the immediate financial problem which has to be resolved is the provision of an effluent management system.? There was discussion of two funding options being the use of funds from the Environmental Levy or obtaining a special rate variation. There has been consultation with the Saleyards Advisory Committee. The lack of an effluent management system at the Macksville Saleyards is a significant environmental issue. The importance of the Macksville Saleyards as a local meeting place has been previously reported on. The importance of the Macksville Saleyards to the local economy has been previously reported on. The consideration of the future management arrangements for the Macksville Saleyards is mainly motivated by risk considerations.? There are occupational health and safety risks and also financial risks. At this stage there is no budgetary impact.? An estimate for the provision of an effluent management system is between $200,000 and $250,000.? However a reliable cost estimate will not be known until the completion of a design. The Saleyards Advisory Working Group declares that its members comprise entities who have a vested interest in the continued operation of the Macksville Saleyards. It was resolved that the Committee note the adoption and endorsement of the recommendations of the Minutes of the Meeting held 29 November 2010, by Council at its meeting of 16 December 2010. That Council investigate an effluent management system that primary and secondary treatment with treated effluent to be sent to Council?s sewerage system.? In rain events Saleyard run off is to be directed the stormwater system. That Council investigate funding an effluent management system at the saleyards through its Environmental levy. 5??????? The status quo being Council?s continued management of the Saleyards and their use by G J Kennedy Ltd under Licence. That Mr George Hicks OAM speak at the Saleyards Forum on behalf of the Saleyards Advisory Committee. There being no further business the Mayor then closed the meeting the time being 10.50 am. Given the length of the report, a summary is not required. Council has the option of not supporting the proposed Rail Feasibility Study although it is not apparent what purpose this would serve. Council has the option of advising Coffs Harbour City Council that it will not consider any funding options.? Again without any formal proposal it is not apparent what purpose this would serve. Council has received the attached correspondence from Coffs Harbour City Council concerning a proposed rail transport feasibility study to assess the feasibility of utilising the North Coast Rail line for a commuter service initially between Bonville and Coramba with potential to expand between Macksville and Glenreagh. Cost estimates for the feasibility study range from $50,000 to $200,000 depending on the level of detail.? The Council?s Rail Working Group proposes a basic economic assessment aimed at gaining an understanding of capital and operating costs.? They suggest the assessment could cost in the order of $50,000. The letter from Coffs Harbour City Council seeks comment as to this Council?s view on the feasibility of developing a north coast commuter rail service on the North Coast Rail line and whether Council is, ?open to discussion on funding options for the North Coast Rail feasibility study?. It is agreed with the statement in their letter that the establishment costs and on-going operating costs for any rail based community transport system will be high and most likely beyond the means of local government.? Whilst the proposal would have significant social and environmental benefits, its financing will almost certainly be beyond the capacity of the Councils.? The investment of $50,000 in a feasibility study is therefore high risk, particularly if the NSW Department of Transport is not a lead agency in supporting the feasibility study and its funding. In the circumstances Coffs Harbour City Council should be advised that Council supports the proposed Rail Feasibility Study but any consideration of funding support from this Council would be subject to the NSW Department of Transport adopting a lead role in supporting the feasibility study and its funding. An enquiry was made with Coffs Harbour City Council about the role of the NSW Department of Transport. Increased use of public transport has obvious benefits in reducing energy consumption. Improved public transport has obvious social benefits through improving access to education, health as well as family and friends. An additional investment in public transport has economic benefits. As indicated in the report, the proposal for a feasibility study has significant risk. Some information received 8 July 2011. Spoken to owner of property who will address the issues of privacy. Awaiting further information from applicant in relation to Aboriginal Cultural Heritage. Development Application statistics are provided for the financial years 2005/2006 to 2010/2011 with a detailed breakdown on applications for the financial year 2010/2011. Provided below is a detailed breakdown on the types of developments where applications have been made for the 2010/2011 financial year compared to previous years to 2004. The (%) relates to the current year compared to the previous year. As can be seen, there has been an increase in development applications received over the last 2 financial years with a large increase in value of these developments. However, although average dwelling values have increased by 20% over 2009/2010 and the total value of these dwellings increased for the same period, the actual number of applications for dwellings has decreased. For the financial year 2010/2011, the area receiving the greatest number of applications was the Nambucca Heads area of the Shire with a total of 67 (26.8%) applications to the value of $12,843,624 (31.81%). Macksville was next with 51 (21.3%) applications at $14,903,200 (36.9%), followed by Rural-Residential with 40 (16.7%) applications with an investment of $4,620,354 (11.44%). Whilst development applications for new dwellings have seen a decline of 6 fewer new homes being submitted, it is important to note that under the NSW State Government Complying Development provisions there were some 9 new dwellings approved as Complying Developments. Therefore the total number of new dwellings being submitted and approved within the shire for the 2010/2011 year is 56. Most new homes within the shire continue to be owner occupied and for the 2010/2011 year, Valla Beach recorded the highest number of new dwellings with 11, at an average cost of $254,441, followed by Nambucca Heads and the Rural Residential areas of the shire recording 9 new dwellings, Macksville 8, Scotts Head 6, with the Shire villages 7 new dwellings and the rural areas 6. What Council has experienced is a significant increase in Alterations and Additions to existing dwellings which saw an increase from 37 applications with a value of $1,023,576 in 2009 to 58 applications and a value of $2,202,610 in 2010. This is likely to continue with 23 applications valued at $1,.551,053 received in the first 6 months of this year. Typically these alterations or additions relate to an extra living or bedroom or an additional bathroom. The number of subdivision applications received for 2010/2011 was 22 with 5 of these being for rural-residential subdivisions. A total of 45 subdivision plans were released creating 133 new lots compared to 24 subdivision plans and 44 new lots last year. The new lots for 2010/2011 are outlined below. Attached for Council?s endorsement is a copy of the Minutes of the Nambucca River, Creeks, Estuary and Coastline Management Committee Meeting held on Friday, 13 May 2011. There are 2 recommendations from the Committee which require an action of Council. That Council discuss with relevant agencies the procedures and processes for approval to construct boat ramps or undertake works along the river bank and a further report be presented to the Committee. That the Committee recommend to Council that the Draft Lower Nambucca Flood Study Review be endorsed. 2????????? That Council endorse the Draft Lower Nambucca Flood Study Review and utilise the new? 100 year ARI 2100 Climate Change Peak Flood Levels for all future development and infrastructure considerations within the area covered by the Lower Nambucca Flood Study. 3????????? That the remaining Minutes from the Nambucca River, Creeks, Estuary and Coastline Management Committee Meeting held on Friday, 12 August 2011 be endorsed. A number of matters were discussed at the Nambucca River Estuary and Coastline Management Committee meeting held on Friday, 12 August 2011. Each of the matters was presented through detailed reports. That of the Minutes from the meeting of 13 May 2011 and Council?s adoption of these Minutes be noted with the alteration to Resolution 4/11 being amended as follows (see Resolution 2/11). That the Council consider running a flood model in the future, with the complete removal of the V-Wall parallel with the car park and road (but not including the removal of the sea wall) and the Stuart Island causeway. This item is to be deferred to the next meeting to enable clarification and a report to come back. That the list of outstanding actions be noted and received by the Committee, with item 3 being altered to refer to river height gauges instead of river site gauges. The current status of the Actions adopted out of the Nambucca Structure Plan, Nambucca River Estuary Management Plan and the Nambucca River Master Plan be noted and that a further report will be presented to the Committee to address the actions from the Newee Creek Water Quality Project, Nambucca State of the Environment Report and Nambucca River Health Project. The following verbal reports were given. Request for more markers/depth gauges on Scotts Head Road as five locations in the Way Way area went under in the last flood, Water from the mountain flows down and blocks some people who use Way Way as another way out (National Parks). The Nambucca River and Estuaries to be considered for funding in the future. Evacuation details as raised by Peter McNally can be further investigated in a revised Floodplain Risk Management Plan. One Oyster grower devastated from recent flood. Grants available for some oyster growers under the flood disaster declaration. Thank you to emergency services for the notifications with the recent truck accident on the northern side of the Macksville bridge. The ecosystem health check does not cover all water quality matters which are of a concern for oyster growers. Update on Coastal Hazard Management Plan ? John Schmidt & Grant Nelson have reviewed options to progress the draft. Public meetings and exhibition to come. Floodplain Risk Management Plan to be reviewed and a brief will come to the Committee for endorsement. The next meeting will be held on Friday 11 November 2011 commencing at 8.30 am. There being no further business the Mayor then closed the meeting the time being 10.10 am.